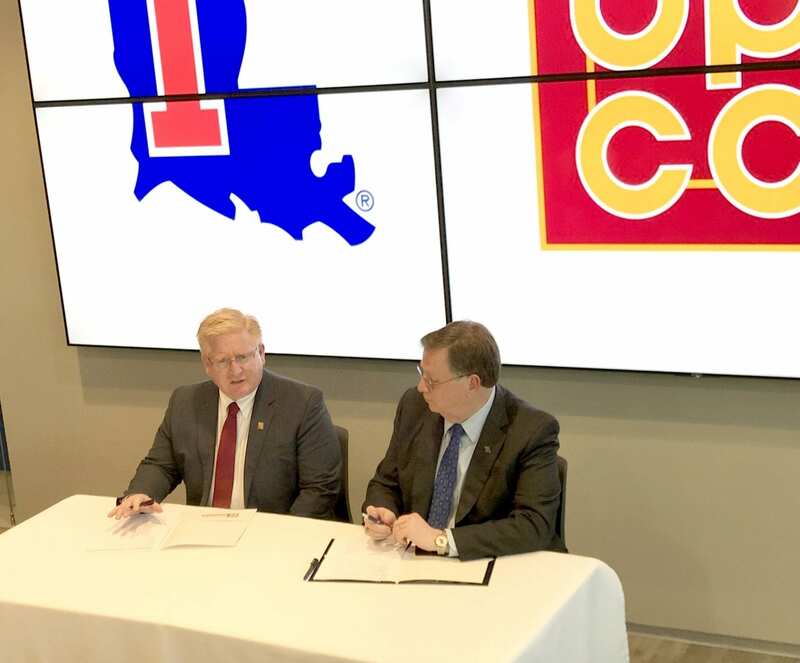 Louisiana Tech University President Les Guice and Bossier Parish Community College (BPCC) Chancellor Rick Bateman signed a memorandum of understanding today focused on increasing opportunities and access to academic programs in the Bossier City area. The institutions agreed to share space in the STEM Building known as Building H on the BPCC Campus and in the National Cyber Research Park. Louisiana Tech and BPCC will cooperate on education and training that will respond to regional and national needs in the cybersecurity field as well as other areas of importance for the community. Bateman added that BPCC is committed to increasing higher education pathways for Louisianians. Both institutions will share use of classroom and meeting space in the facility, providing unique opportunities for area residents, including access to graduate programs in business and education, as well as continuing education programs for current professionals in the area. This facility usage scenario allows for a close-proximity coupling of the institution’s missions and functions, whereby each can complement the other. The building serves as a hub for STEM courses at BPCC and houses Tech’s Academic Success Center and Cyber Training Center on the first floor. Both schools are also working to complete a Veteran Resource Center on the building’s fourth floor. Both BPCC and Louisiana Tech were named Military Friendly Schools in this year’s Victory Media survey. The Veteran Resource Center will allow the institutions to provide more opportunities to the area’s active-duty and retired service people, as well as their families.